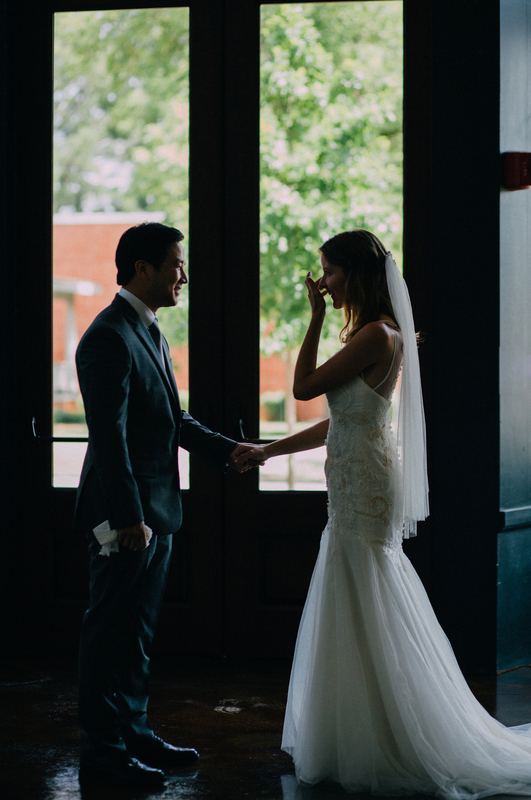 Betty and Isaac are two incredibly sweet souls who tied the knot with a sweet pastel and vibrant green wedding at one of my favorite Columbia venue's. They filled their day with fun quirky details, well thought out guest activities and some beautiful promises to one another. Betty's whole family helped them pull together the handcrafted ideas from Betty's imagination, which included gemstone bugs, garden bunnies and hand grown herb centerpieces.